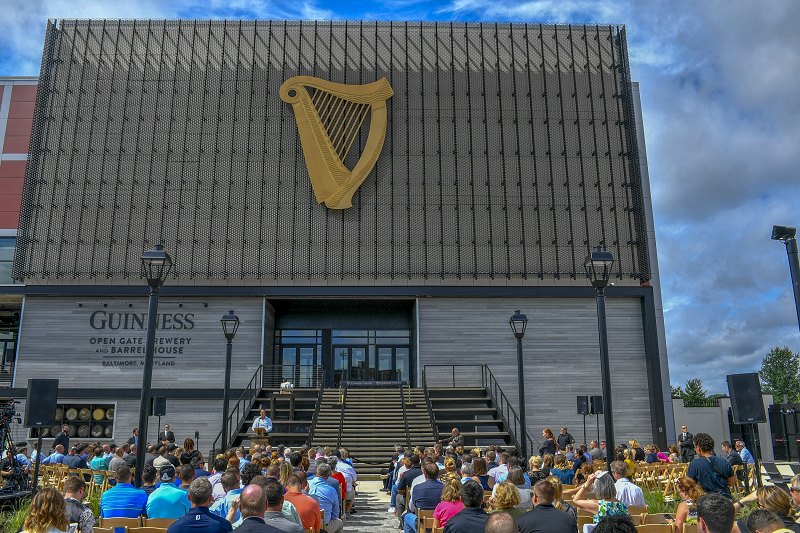 BALTIMORE, Md.—This afternoon Guinness brewers, executives and guests from the local community gathered for a ceremonial ribbon-cutting at the new home of Guinness in America – the Open Gate Brewery & Barrel House in Maryland. Doors will officially open to the public tomorrow at 3 p.m. ET.